Finally, after 3 years, we finally got a boy winner. I'll ship him with Yui. Because why not?! Brother E: How come no one knows what that means? That's an old tradition. Still, some Americans don't know what it means. 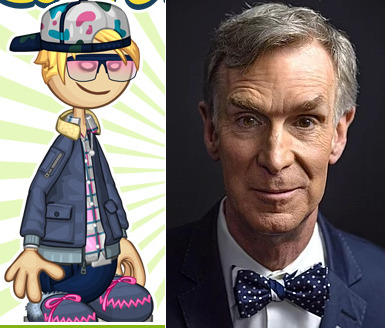 Nye reminds me of Bill Nye the Science Guy and Ranulph kind of reminds me of the frog from Bugs Bunny. I have heard that Nye is gay. Andrew Smith She in fact did. Mary and Sue are dating and are likely lesbians. Абу Вайси I'm against the fact that Mary and Sure are lesbians. I would prefer it if Nye is Mary's boyfriend. Albert Daoust But Nye has been said to be gay, and Mary is at least bisexual. It wouldn’t be a great marriage. Абу Вайси To set the record straight, Nye is not gay and Mary is not a lesbian. We need to confirm if Nye and Mary have different gender romance. The Daousts are homophobic. Why am I not even surprised. Can I "believe" that Spencer Williams is gay?